Houston based soul / funk band The Suffers have released their self-titled debut album via Rhyme or Reason Records. The LP features ten songs, covering 44 minutes. You can stream the full album above, via Spotify. The ten-piece collective deliver songs that are rich in influences, from soul to funk to Latin. Sprinkles of jazz, hip hop, and reggae are thrown in as well, for what amounts to a gumbo of feel-good tunes! Singer Kam Franklin is a powerhouse of a vocalist, and can effortlessly dig deep into her gut to deliver honest and passionate singing, as evidenced in "Better." The talented and dynamic horn section is highlighted on "Dutch" and "Gwan." With lyrics like, "Hang a little / Love a little," the song "Peanuts" taps into the positiveness that the band consciously puts out there. The Suffers deliver a breezy reggae touch for "Good Day" with Latin influences, and "Stay" demonstrates the band's musical diversity to incorporate old-school Southern soul with hints of ska. "The Giver" is perhaps The Suffers' most impressive track, finding Kam Franklin baring it all vocally, and allowing the band to stretch out on their instruments while being able to shift their rhythm on a dime. After The Suffers amazing performance on The Late Show with David Letterman last year, Letterman enthusiastically said, "If you can't do this, get out of the business!" I couldn't agree more. Songs we like are "Make Some Room," "Gwan," "Better," "Stay," "Giver," and "Peanuts," and "Good Day." Pick up The Suffers on Amazon. 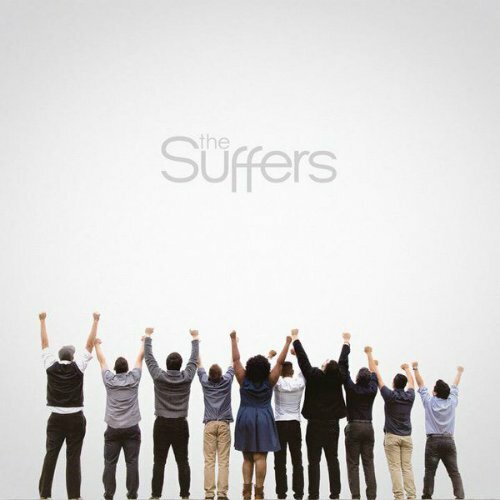 For the latest music, news, and tour dates from The Suffers, check out their Zumic artist page.